Ⅰ.Xinjiang Statistical Yearbook 2017 systemly include the economic and social aspects ofstatistical data by region and throughout the county(city) in 2016,and the main statistical data inhistorically important years and recent years,and includ the major statistical data of provinces andregions in 2016.The book is an annual statistic publication of fully reflect the developmen ofeconomic and social in Xinjiang Uygur Autonomous Region. Ⅱ.Special Article(Statistical Communique on National Economy and Social Development ofXinjiang Uygur Autonomous Region in the year 2016);General Survey;National Accounts;Population and Employment;Investment in Fixed Assets;Foreign Trade & Economic Cooperationand tourism;Resources and Environment;Production and Consumption of Energy;GovernmentFinance;Price;people' s Living Conditions;General Survey of cities;Agriculture;Industry;Construction;Ttransport,Postal and Telecommunication Services;Wholesale & Retail Trades,Hotelsand Catering Services;Financial Intermediation;Education,Science & Technology and Culture;Public Health and others;Ranking of Main Economic Indicators by Prefecture,AutonomousPrefecture and city Region of Xinjiang;Appendix(Ranking of Main Economic Indicators byProvince,Region and city). Ⅲ.The Yearbook of sources are mostly from the annual statements,in part from the samplesurvey data. Ⅳ.The units of measurement used in this yearbook are internationally standard measurementunits. 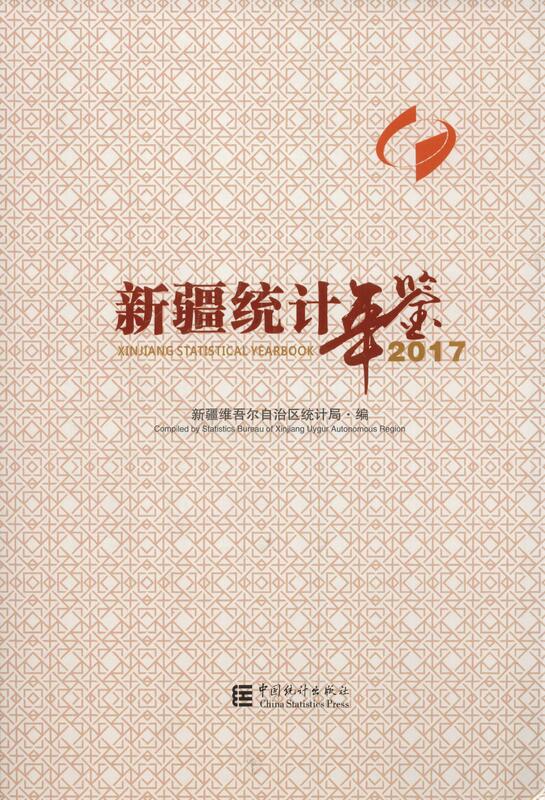 Ⅴ.The price of all the gross indicators computation in the yearbook is current prices. Ⅵ.The data about Ili Kazak Autonomous Prefecture in the Yearbook covers counties(cities)direct under Ili Prefecture,Tacheng Administrative Offices and Altay Administrative Offices. Ⅶ.Description of signs or symbols in the yearbook:"#"indicates a major breakdoun of the total;"…" indicates data with insufficient decimal place;"blank" indicates absence of data indicatorsor ignorance of them. Ⅷ.In the course of complication,the yearbook has received great support from many units andcomrades in and out of Autonomous Region,we acknowledge their help to the book.Mistakes andfaults are inevitable to take place bccause of inadequate proficiency and limited time.Leaders,personnel from all walks of life and colleagues from statistical sector are welcome to make theircritical comments and suggestions.